Other places to find Anne. Will two people with enough baggage to hobble a pack horse play it safe, or take a chance on love? 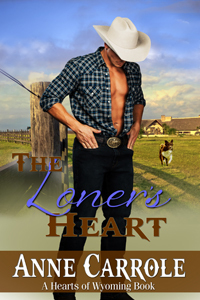 Families feuding, cattle missing, and two people falling in love. Rodeos, wedding bells, and one crazy will! 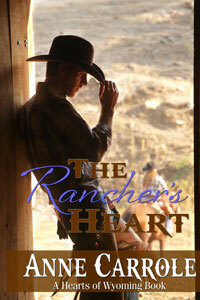 She wants him to relinquish control of her family’s rodeo company. He wants her…for a while at least. She fears she’s risking her heart. He fears he’s playing with fire. Has the maverick finally met his match? She’s trying to make amends for the past; he just wants to forget it. He’s never forgiven her; she’s never forgotten him. She wants home and a family; he’s always been a loner. When fate brings them together, will the past tear them apart—again? 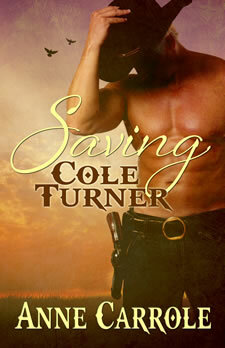 Kate Flanders is set on marrying Cole Turner and saving him from the gun-toting life he’s been leading. Kate’s loved Cole since they were children, growing up in very different families. Now that he’s back in Three Bridges, this may be her last chance to make him hers and she’s got a plan. Cole Turner is many things, most of them bad, but he’s not about to take advantage of the one person in his life who actually saw some good in him. Kate’s fantasy about marrying him is just that, a fantasy. Not that he doesn’t want her, he does. But he’s not about to ruin her life, because that’s what being married to him would do. 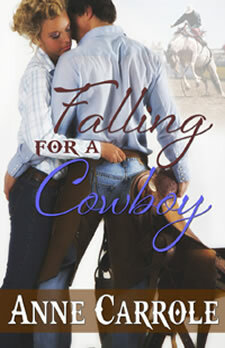 One determined female, one stubborn cowboy...anything can happen. She plays it safe; he takes risks. She’s been burned; he likes it hot. She wants the happily ever after; he just wants a good time. She turns him down; he’s angling for a re-ride. Neither expects what happens next. I just loved it!…Great ending! My eyes filled with tears as Clay spoke and then Dusty ran to him. Reminded me of the ending in Never Been Kissed with Drew Barrymore.”--L. Gonzalez author of Too Late for Romance? These are works of fiction. The characters, incidents and dialogues in this book are of the author’s imagination and are not to be construed as real. Any resemblance to actual events or persons, living or dead, is completely coincidental.